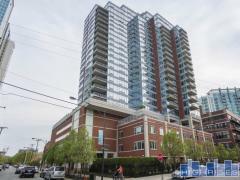 Lakeside Tower is a newer high-rise condo tower in the South Loop, just steps away from the Lake. Amenities include fitness center, rooftop deck with grilling area and heated parking for an additional price. The 1, 2 and 3-bedroom homes. Have any comments or questions about Lakeside Tower? Ask your question and/or share your thoughts about this Building.